When John Franklin, the governor of Van Diemen’s Land, outlawed small pot stills in the early nineteenth century he crippled the distilling industry. It wasn’t until the 1990s that this law was overturned and Aussies once again began to brew their own spirits. 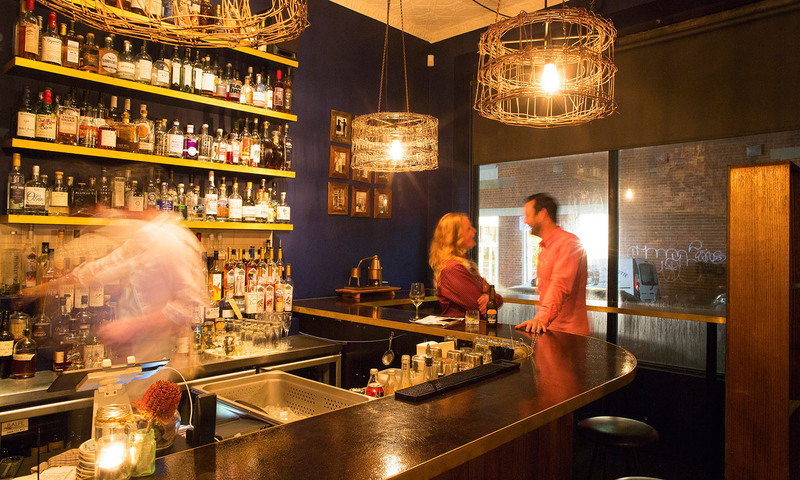 At Bad Frankie, in Melbourne’s inner north, punters can celebrate the emancipation of local liquor and choose from hundreds of Australian whiskeys, rums, vodkas and gins. There’s even local absinthe for those disposed to a little adventure. But it’s not just the alcohol here that burns the tastebuds – it’s also the piping-hot jaffles. Bad Frankie serves nine different types, including two dessert versions. These more-ish, home-grown parcels include the Classic, stuffed with vintage cheddar and ham off the bone, and the Shroom, which packs garlic, spinach, fetta, and red wine and thyme mushrooms between slices of wholemeal. Jaffles start from around US$4.50, but drinks will hit your hip pocket, with cocktails at around US$14. That said, they’re delightfully creative, and after a sip, you’ll discover it’s worth it.